Jennifer Wells is a new author to me and this is the first book I completed in 2019. Ironically the first book read in 2018 was her previous novel. I can see a pattern forming and just like the first book I read a year ago the latest one was interesting, captivating and a thoroughly good read. 1920 – Lily, a dancer is invited to go and stay at Elmridge House with Dr Cuthbertson a doctor and a wealthy benefactor of the theatre to recover from her troubles. 1942 – Ivy, a nurse at the local cottage hospital is called out to Elmridge House to a distressed Mrs Cuthbertson and the elusive Dr Cuthbertson. The house is nothing like she has seen before, its grandeur evident from the moment you turn onto the drive. When Ivy mentions her visit to Elmridge House to her mother, she is warned to never set foot in the place again. Ivy is given no explanation. As the two narratives take us on a journey, there becomes the cross over where the actions of Ivy and Lily come forever intertwined and the story of what goes on at Elmridge House is revealed. I really don’t want to say anymore, because it is a book full of intrigue and secrets, set against the bright lights of theatre, of that false world created for others entertainment and pleasure. Then some twenty years later against the war and those that are left behind to carry on and nurse, not just the men returned from battles with scars both physical and mental but of the women left behind who perhaps grasping a small amount of pleasure are left with a lasting legacy to be dealt with. I felt I was looking at what was going on ‘behind the scenes’ – the theatre, the big house and the hospital. 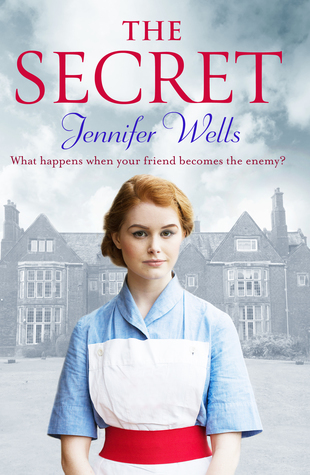 Jennifer Wells creates the atmosphere so well that I felt I was in the home of Ivy, in that kitchen at the nurses home, in Elmridge House with the curtains seemingly permanently closed. Nobody knows what goes on behind closed doors but the secrets for Ivy and Lily are about to come tumbling out. If you like historical fiction and sagas then this is the book for you.